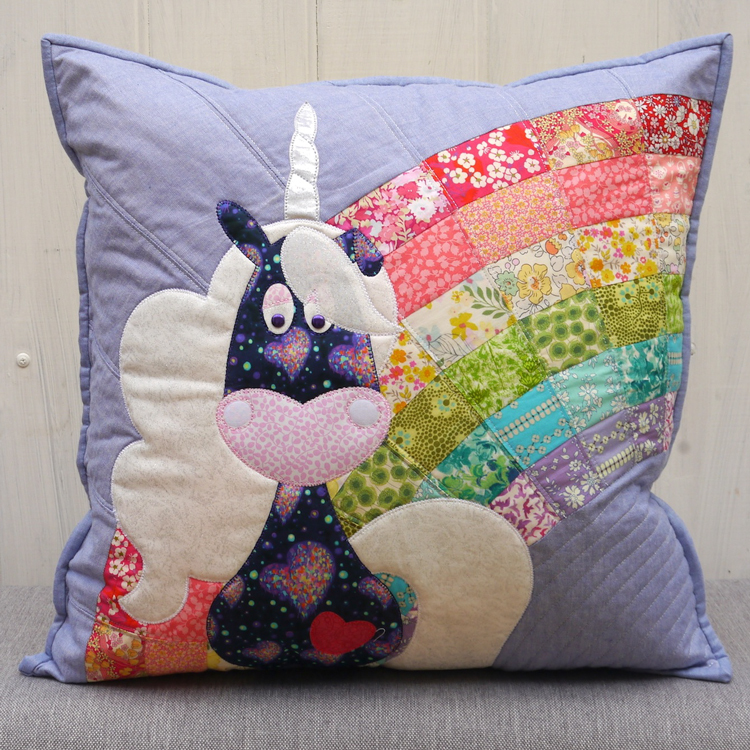 New from Claire is this gorgeous rainbow, unicorn and sun cushion pair that incorporates both applique and foundation paper piece techniques. This pattern has full size pattern templates, easy to follow instructions with plenty of illustrations to clearly explain the FPP method. 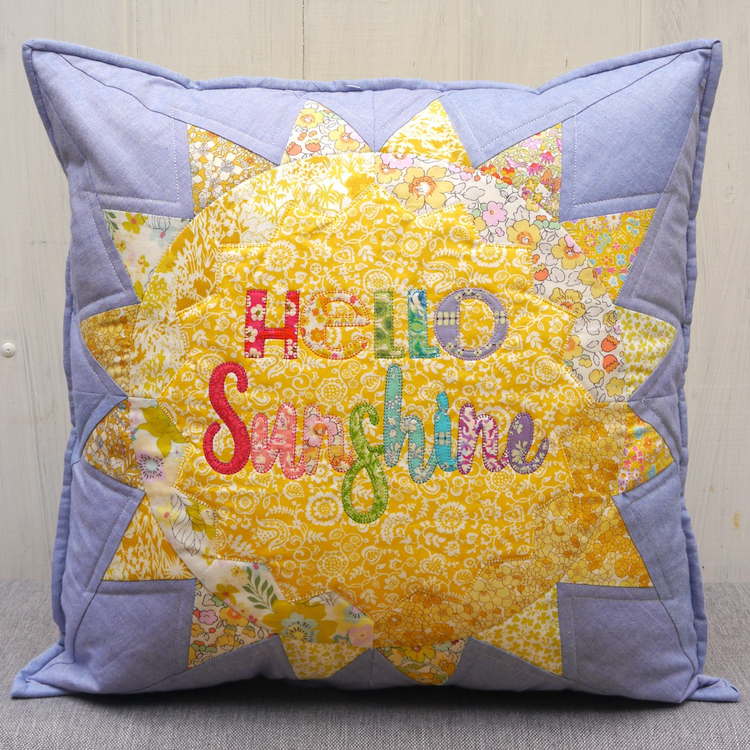 As with all Claires patterns, all the templates are compatible with a Brother Scan N Cut machine. 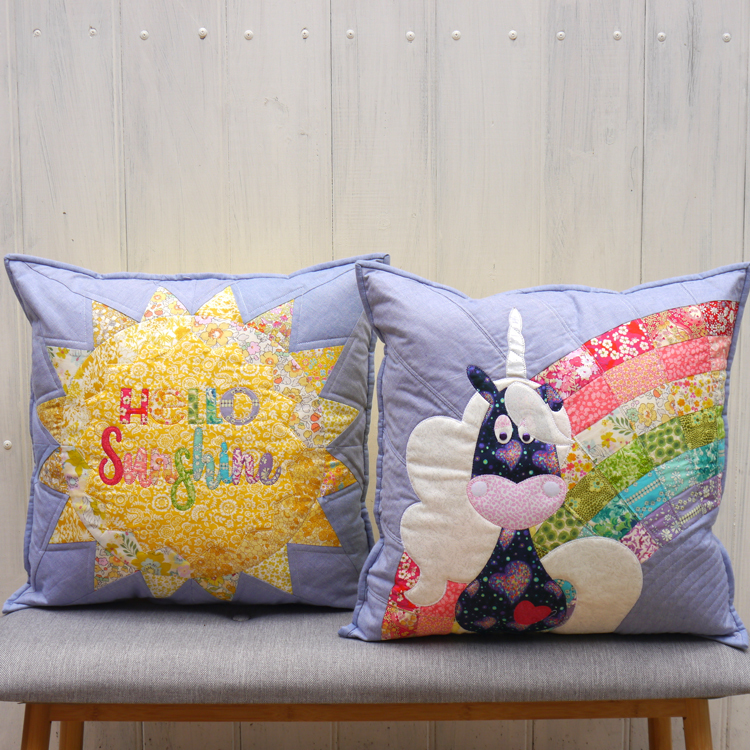 ‘Hello Sunshine’ makes a perfect accompaniment to Claires ‘Unicorn’ quilt pattern.